Please download the technonical data of L152101B1U RFID Logistics Label for detailed information about the specification. 1. Do you offer custom design RFID tags, labels or inlay? We are continually updating and adding RFID products to our website to meet your needs. If you are searching for a particular tag, but can’t seem to find anywhere, please contact us, it is our pleasure to assist you in getting what you need. 2.Can you help to get my labels printed & encoded? 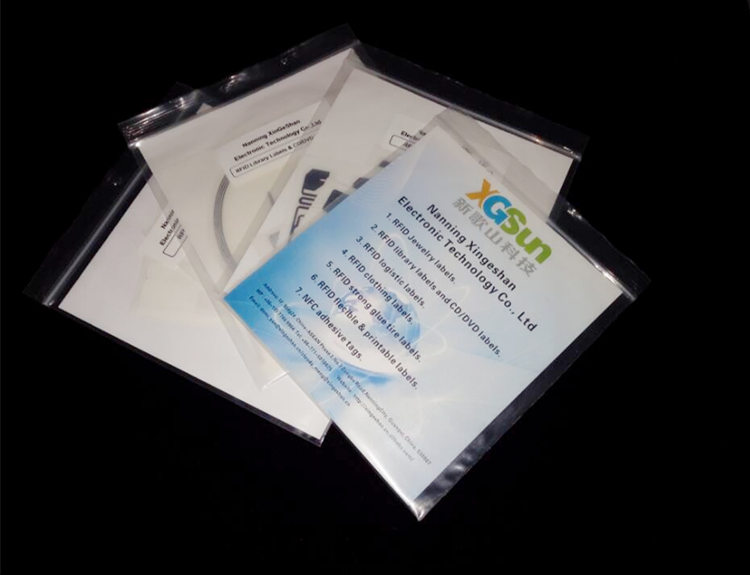 Yes, XGSun offers custom encoding service for all of the RFID tags available for purchase. The lead time depends greatly depending on your volume and requested Printing/Encoding options. If you have other specifications for the tag’s human readable portion, we will be reaching out to you after you purchase your tags. Please tell us about these requirements when we contact you. 3.Do you have RFID label sample packs? Yes, we do! We have sample packs ready for you. If you're building or improving your RFID system, it's not always clear which RFID tags will work best in your application. Additionally, testing your system is an important and necessary task to ensure optimum performance. That's why we've created sample packs of various RFID tags. Sample packs provide a cost effective way to test different RFID tags and find the perfect one for your system. 4. How About Your After-sale Service? Any products found damaged or unworkable, we will check and replace those products.If customers want to return the items received, you can concact us. Customers should pay the additional shipping fees incurred and the products returned should be kept in their original conditions.